Anna-Gene O'Neal is CEO of Alive Hospice, which began an exclusive partnership with Tennessee Oncology on January 1. Alive currently has doctors or nurse practitioners at practices located in Saint Thomas West, Centennial Medical Center, Murfreesboro and Chattanooga. It plans to be in 18 locations, annually serving 1,600 patients by the end of the year. "As a team, we can best assess stressful or negative symptoms that can threaten cancer patients’ management of their illness and develop a plan to resolve or mitigate them," Tennessee Oncology chief medical officer Natalie Dickson says in a statement. "Our palliative care partnership with Alive Hospice compliments our ongoing quality of life goals." Palliative care is a fast-growing sector in health care, more than doubling within U.S. hospitals since 2000. But it's still misunderstood by many. 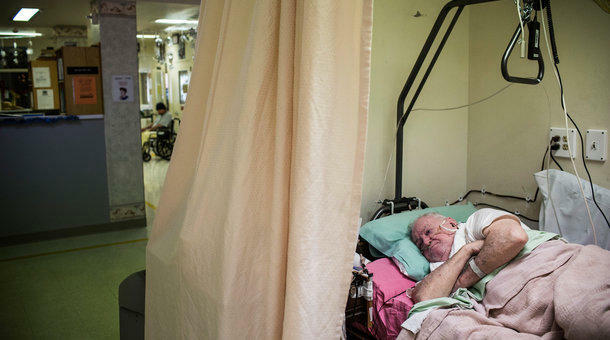 Unlike hospice, patients don't have to give up on treatment that might cure their cancer. A specialized clinician spends time with them, understanding their suffering — both physical and emotional — while also addressing the burden on family caregivers, and developing a holistic plan. "Palliative care takes these principles that were understood and developed in the hospice realm, but really it's for anyone along a disease trajectory," Alive CEO Anna-Gene O'Neal says. Insurance often pays for the time-intensive consultation. But it's not always offered because the reimbursement rarely covers the full cost of the wraparound services and usually doesn't lead to more money-making tests and procedures. O'Neal says Alive, which is a nonprofit, believes it can at least break even in cancer clinics since patients will be centralized rather than — as with hospice — staying in their homes, which requires making house calls. "We're not looking to create a profit margin from this," she says. "It's about how we can create the greatest impact for our patients." On today's show, we'll talk about what to make of the latest consumer price index; how palliative care could save on health care costs; and a look at how businesses helped the recovery of Elysian Fields Avenue in New Orleans. 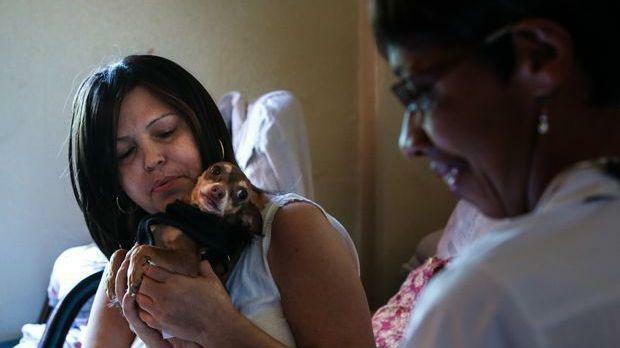 Sandra Lopez and her Chihuahua, Coco, were inseparable. He followed her everywhere, and kept Lopez's mood up when she was in pain — which was often. On Oct. 15, 2014, Lopez died at age 49 of melanoma that had slowly spread throughout her body over the course of two years. Lopez was in and out of the hospital in 2014, but during the months she was home, a hospice nurse from the Metropolitan Jewish Health System visited once a week to help manage the pain, backed up by a 24-hour, nurse-staffed phone line that Lopez called often.